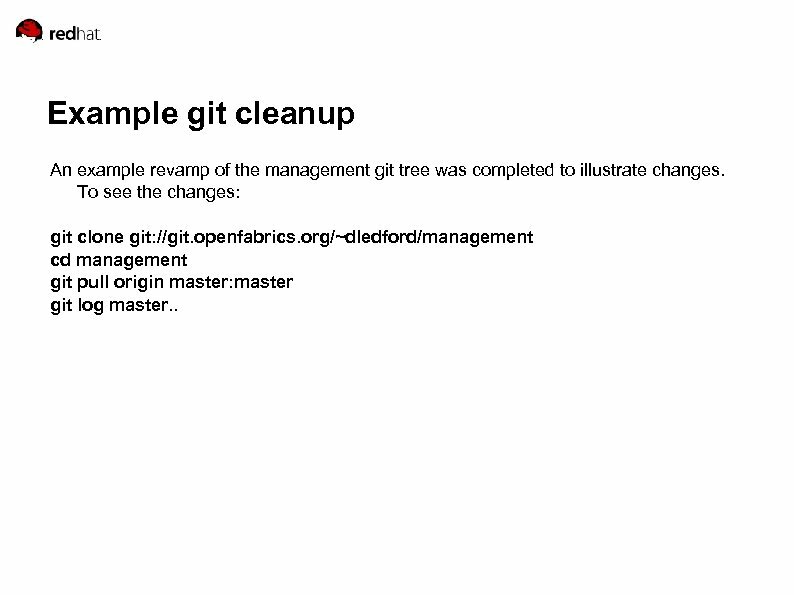 Example git cleanup An example revamp of the management git tree was completed to illustrate changes. To see the changes: git clone git: //git. openfabrics. 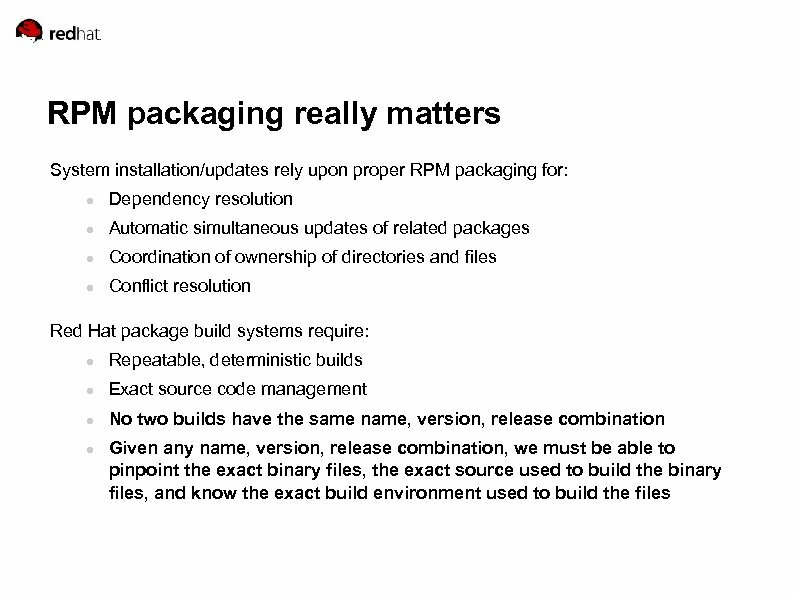 org/~dledford/management cd management git pull origin master: master git log master. .
Benefits of Fedora package ownership First and foremost, it puts the developer in control of integration. 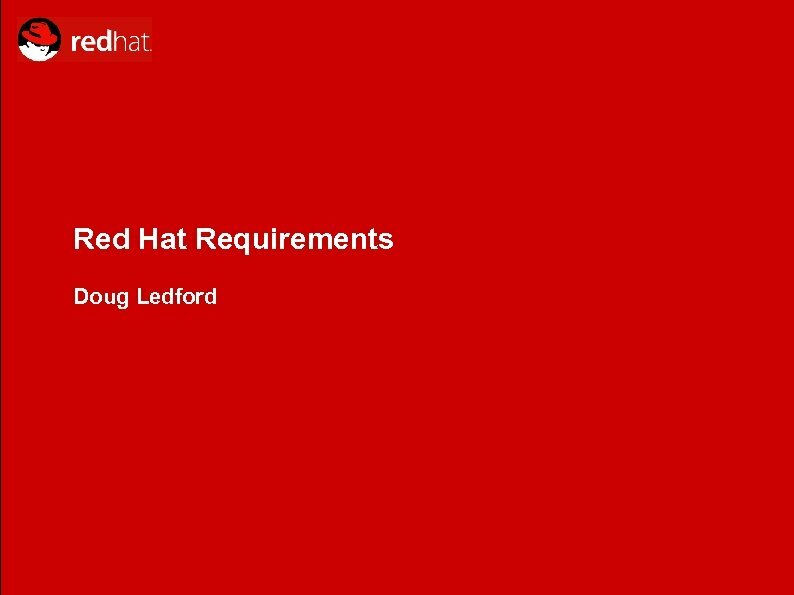 No more waiting for Red Hat to get it done. 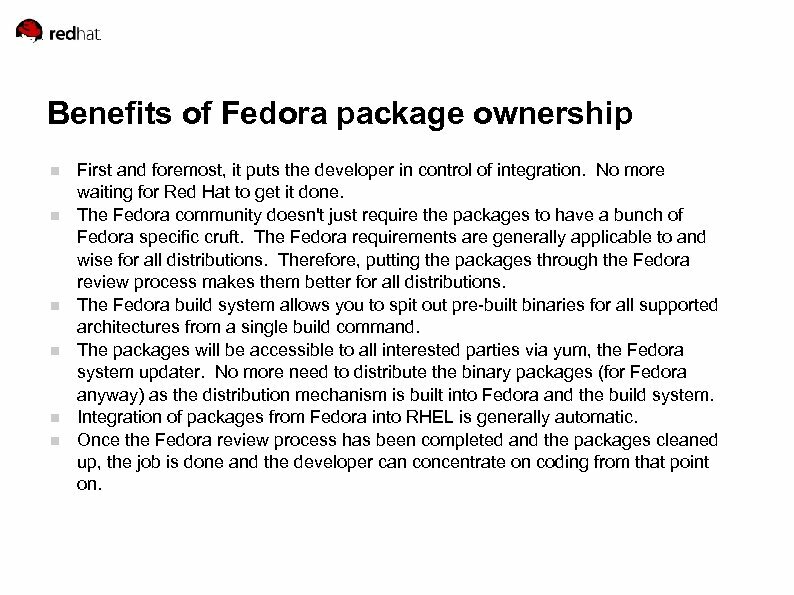 The Fedora community doesn't just require the packages to have a bunch of Fedora specific cruft. 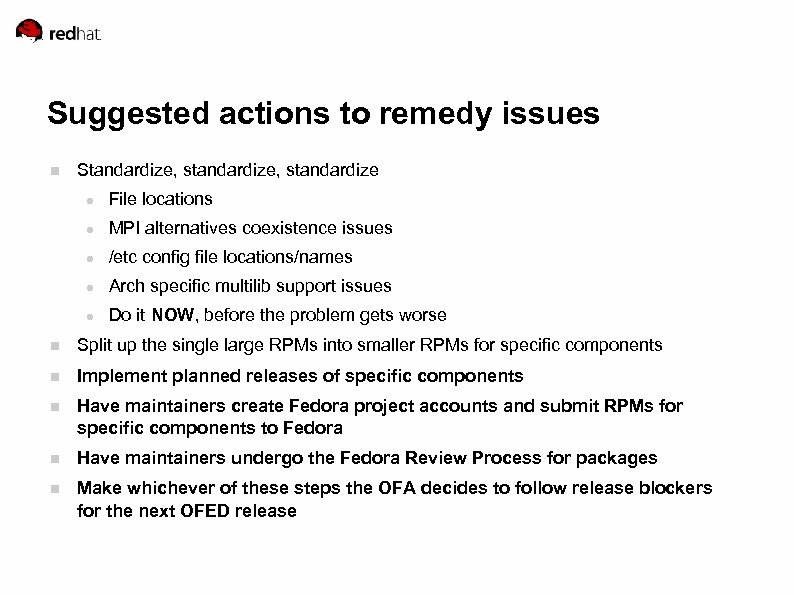 The Fedora requirements are generally applicable to and wise for all distributions. 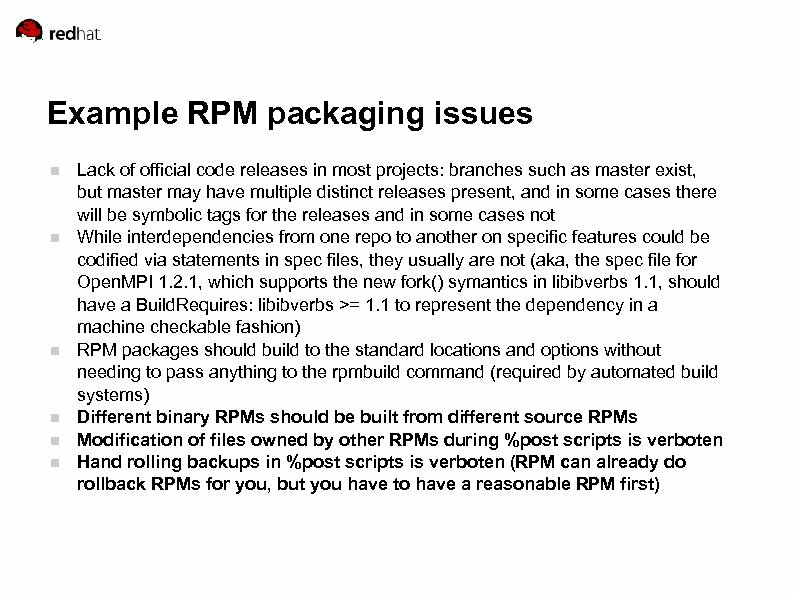 Therefore, putting the packages through the Fedora review process makes them better for all distributions. The Fedora build system allows you to spit out pre-built binaries for all supported architectures from a single build command. 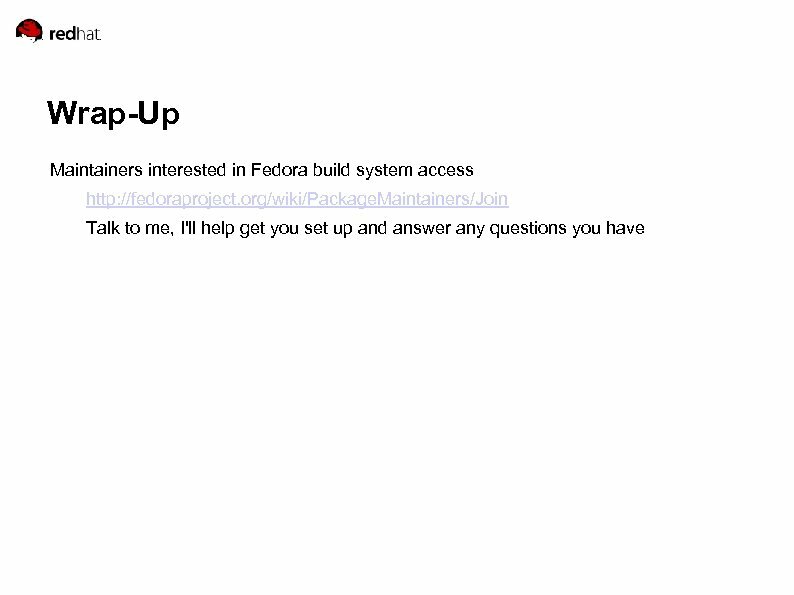 The packages will be accessible to all interested parties via yum, the Fedora system updater. No more need to distribute the binary packages (for Fedora anyway) as the distribution mechanism is built into Fedora and the build system. 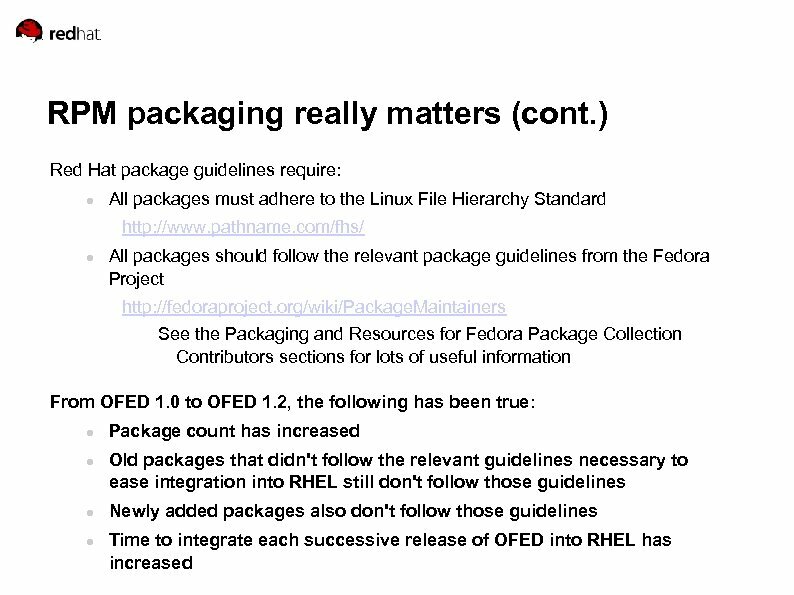 Integration of packages from Fedora into RHEL is generally automatic. Once the Fedora review process has been completed and the packages cleaned up, the job is done and the developer can concentrate on coding from that point on.